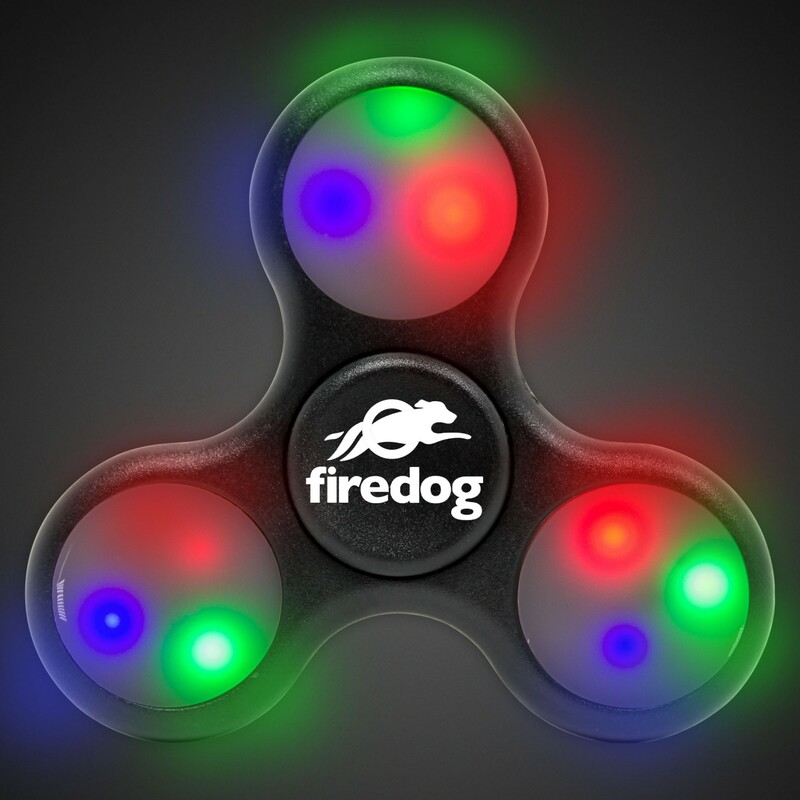 Fidgety folks, rejoice! 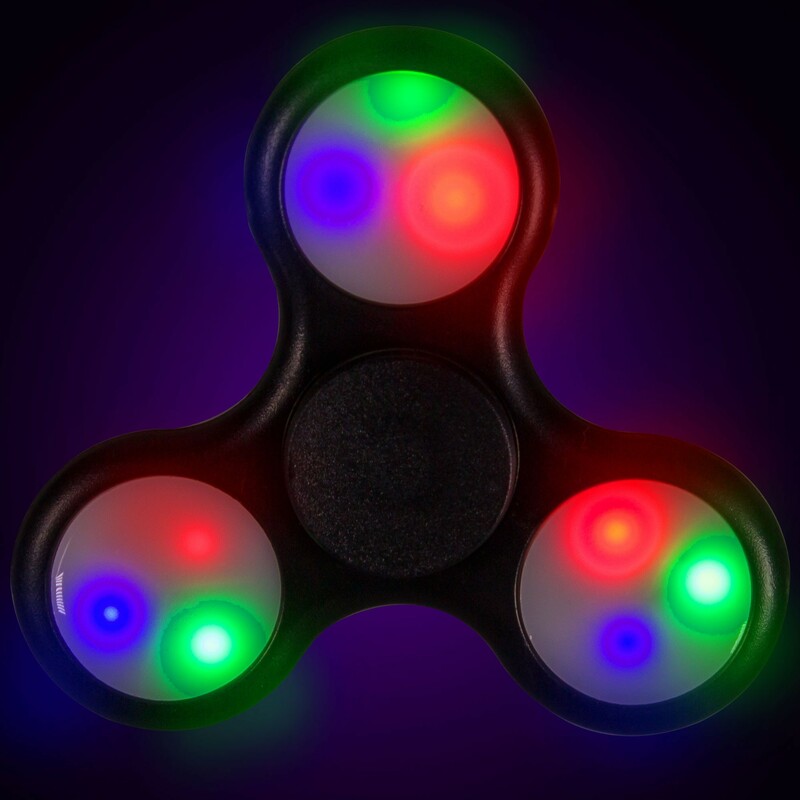 Nervous Nellies and attention-deficit sufferers can now enjoy relief from anxiety and distractions with this LED Light Up Spinner fidget toy. 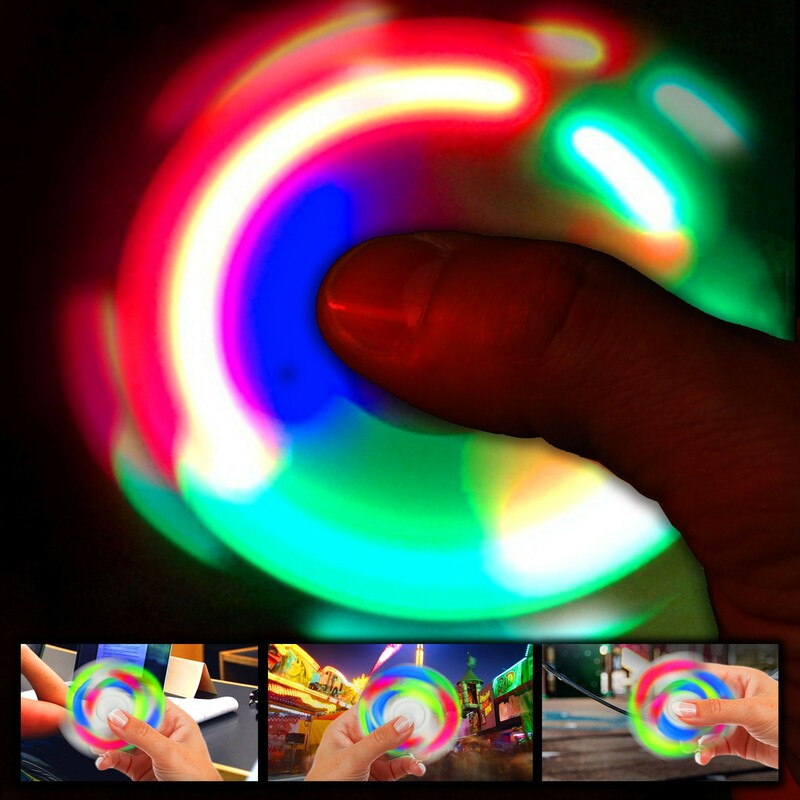 These compact hand spinners are the latest & greatest in stress-reducing hand-held gadgets. 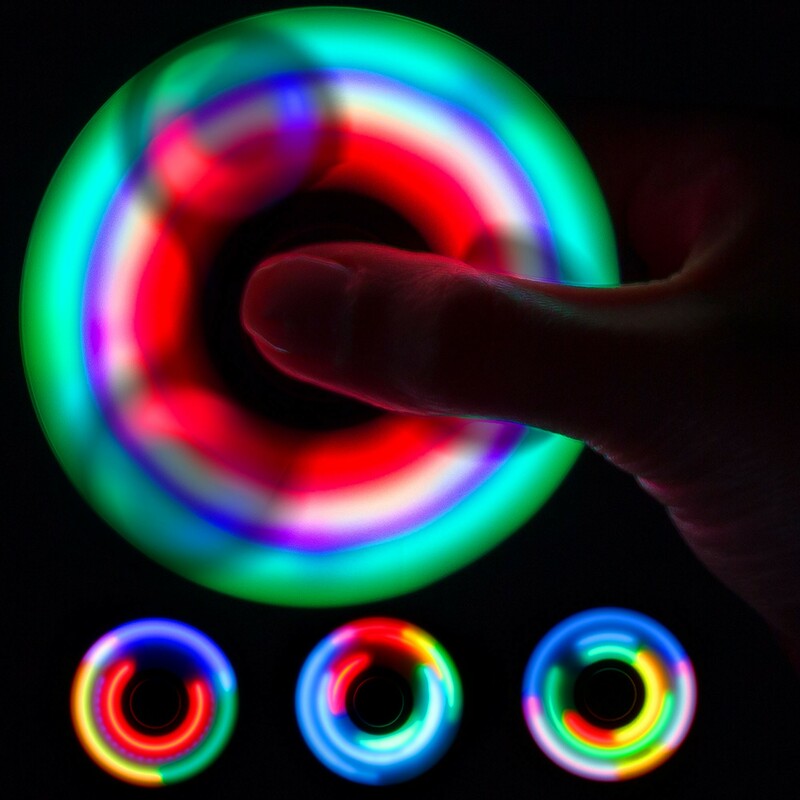 Nine bright LEDs create a mesmerizing motion blur of red, green and blue when swiftly spinning for 1-2 minutes. 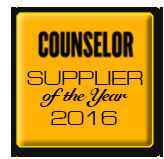 Batteries are included and installed but cannot be replaced. 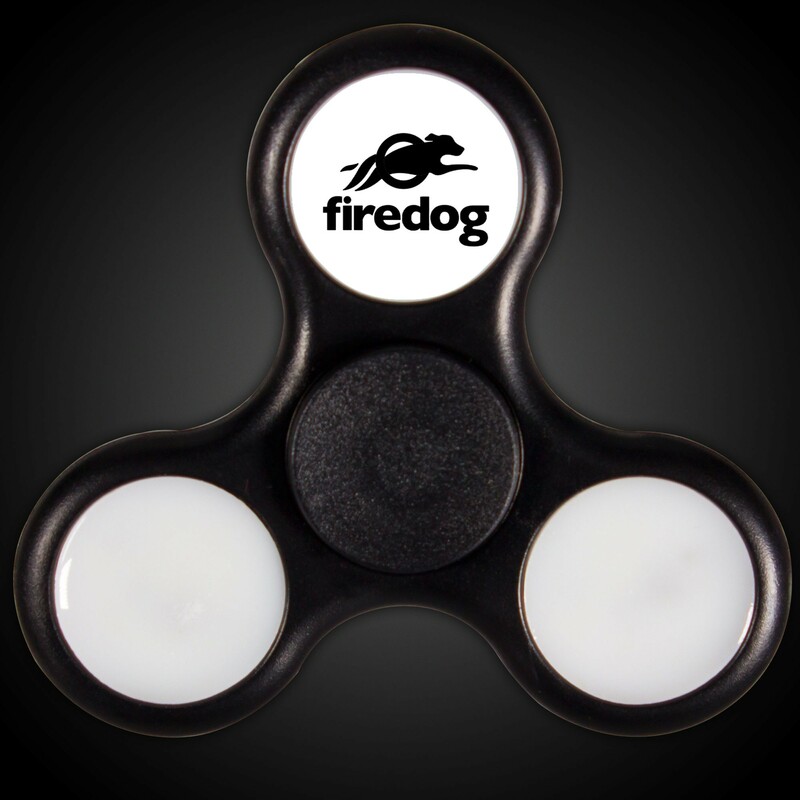 Perfect pop culture promotional item. Choking hazard. Not for children under 3 years. This item replaces GIF141. 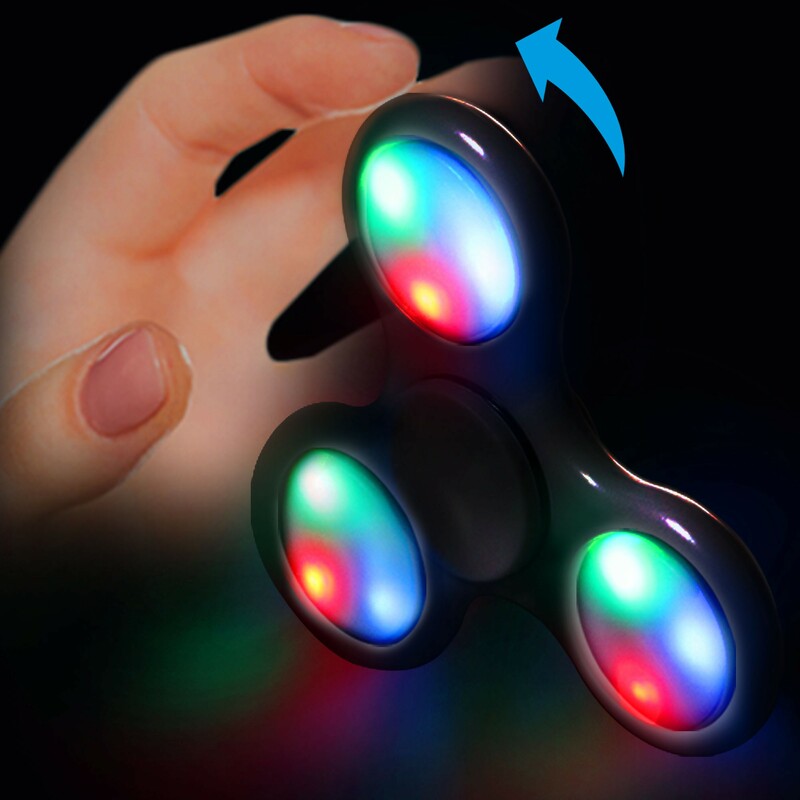 Click each button for a light setting on each arm. 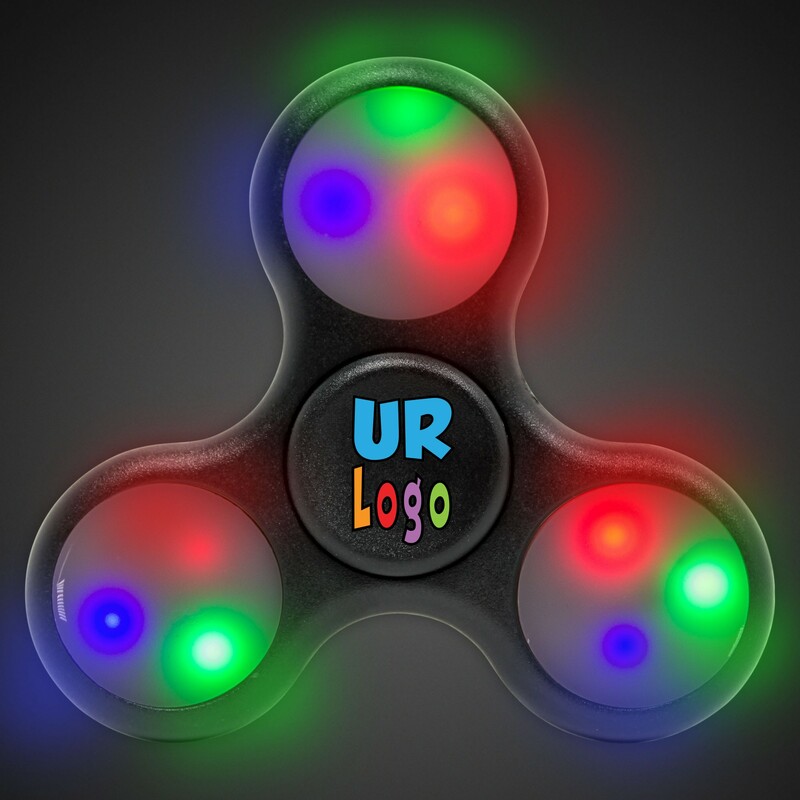 Above pricing includes a 1 color pad print in 1 location (pad print) on one of the pods or in the center, A full color DIGI-PRINT on the center (1 location) or 3 Full Color Imprints in 3 locations (DIGI-PRINT). For all imprinting add a Set-up fee of $55 (v). Repeat set up fees apply. Call for details. Imprint Minimum is 144 pcs. Imprint Method: Pad Print or full color DIGI-PRINT. Call for details.